You ever do something and feel like it’s a total eureka moment? That’s what happened to me one morning while getting ready for work. 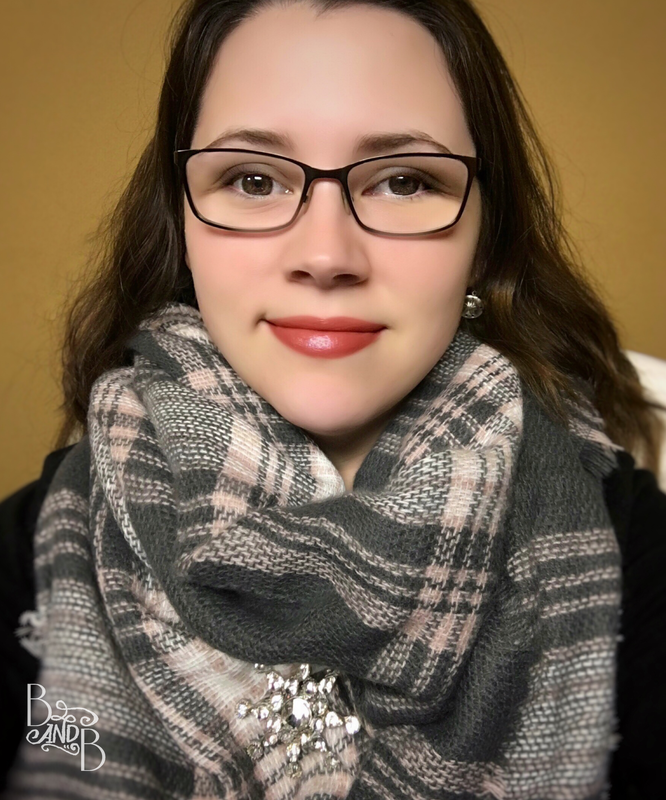 Blanket Scarves are delightful and can look so glamorous and put together. BUT they’re so fuzzy that they itch my face and get lint in my makeup – especially my lipstick. AINT NOBODY GOT TIME FOR THAT. Yes, that’s just a simple can of hairspray. Extra hold. Extra brilliant! See where i’m going? 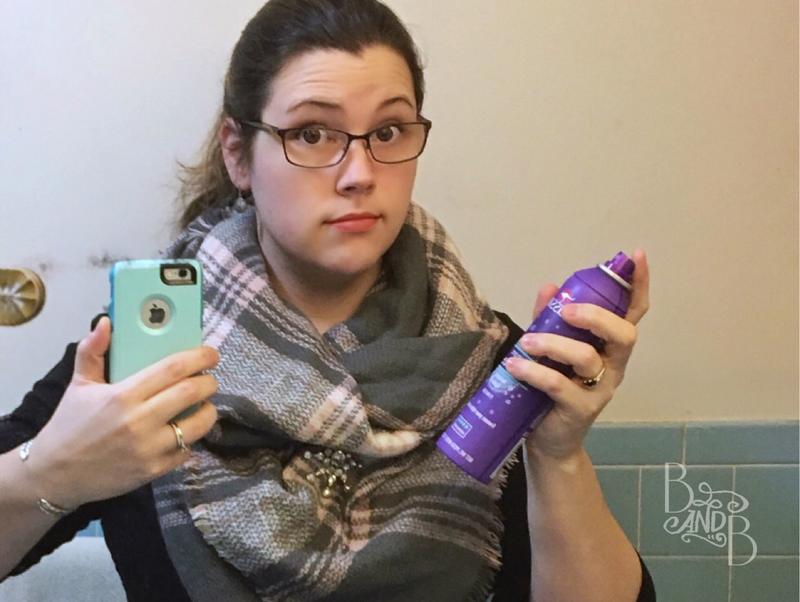 First, do your half-fold of the Scarf like you’re about to drape it around your neck – but before you do, give it a light coat of your favorite hairspray. Now, drape the Scarf around your shoulders as you prefer to wear it. I like to add a broach for fun too. Now, zap the Scarf again with a coat of hairspray, targeting the areas nearest to your face where the fuzz is the most annoying. 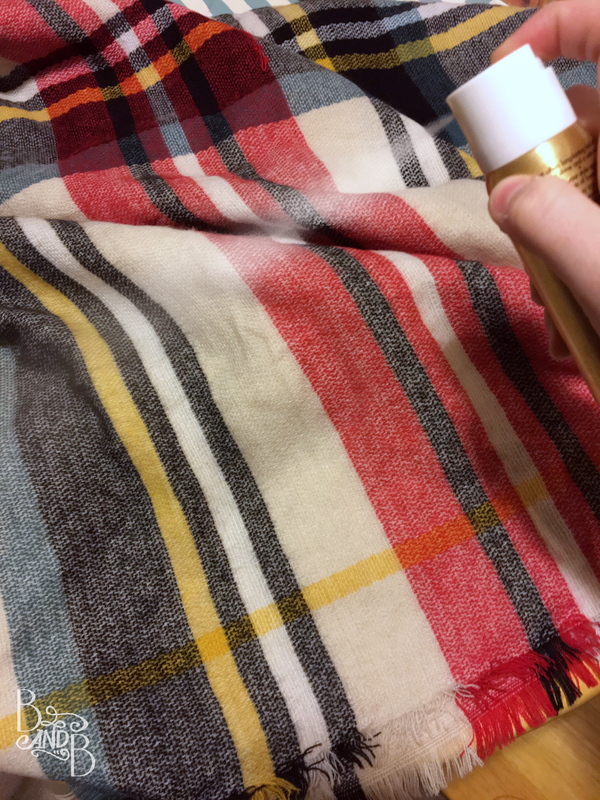 You’ll want to tilt your face away from the side of the Scarf you’re currently spraying for the best angle. Make sure the Scarf is pulled away from your face and neck as it dries to prevent sticking. And there you have it! A fuzz-controlled blanket Scarf you’ll love to rock! What sort of eureka moments have you had lately?